Today I made my regular “pilgrimage” to one of the most special places in Pittsburgh. I never tire of going there, and I stop by usually around once a week to refresh and illuminate my soul. Yet the future of this repository of wisdom and joy is always in doubt. What can we do to safeguard our community resource? 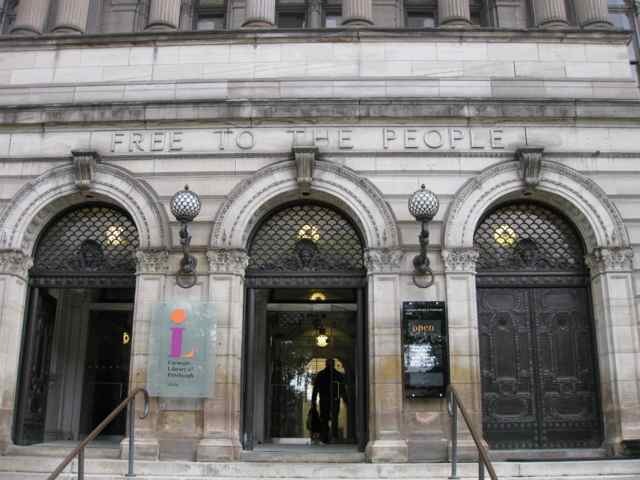 The Carnegie Library of Pittsburgh is, of course, not really “free to the people”, despite those words in stone above the entrance celebrating this public good. It is paid for by tax dollars, and when money is tight, as it has been for Pittsburgh and many other American cities, there are reductions of hours, closing of small branches, etc. I remember many years of my life during which buying books was simply not affordable, and I used libraries everywhere I lived, and was grateful for the access to knowledge. I don’t think access to books, magazines, and other useful and uplifting information should simply remain the privilege of the wealthy who can afford to buy it. Abby and I proudly support the Carnegie Library by contributing to it and receiving a Donor Plus Card as a sign of appreciation. 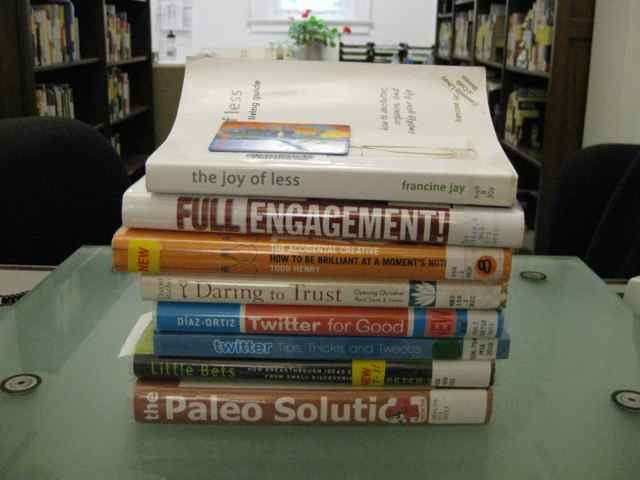 We have also donated our own books to the library when we no longer need them. We are among the over 10,000 who have pledged our support, through Our Library, Our Future, for a referendum on a library tax. I certainly wouldn’t mind paying extra tax per year (that amounts to the cost of a single meal out) to help the Carnegie Library to run smoothly. If you are a Pittsburgh voter, please think about whether you pay too much property tax as our mayor Luke Ravenstahl believes and cannot be bothered to pitch in for our community. Election day, November 8, is coming in just a month!